This month, we have a few exciting updates. 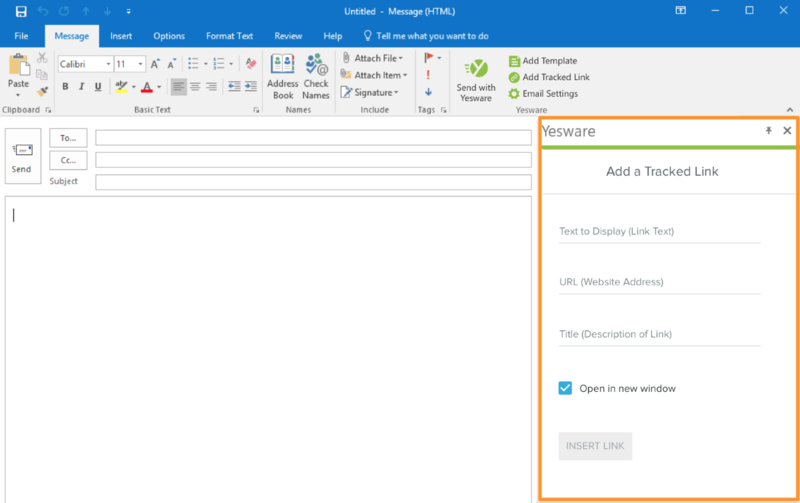 First, we made big changes to our O365 add-in so that users can send emails with confidence. 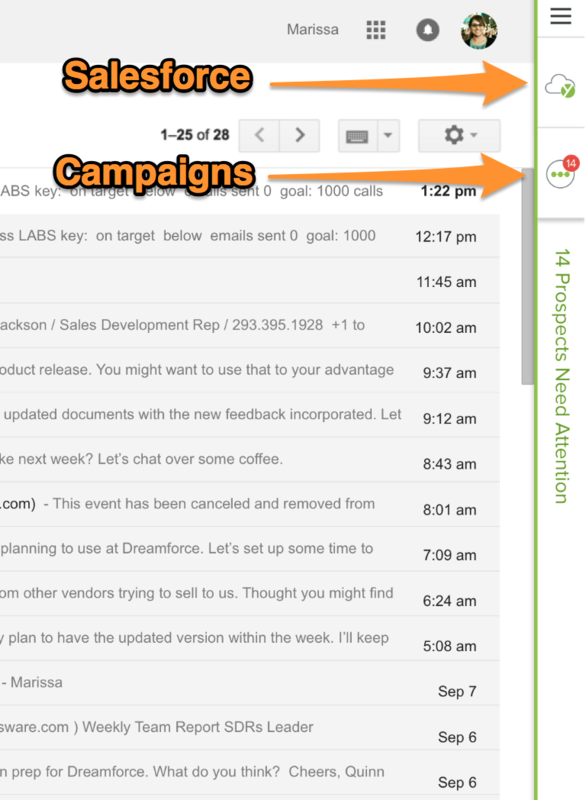 Next, users on our Gmail Enterprise plan using Touchpoints have a new sidebar functionality that simplifies Campaign management. Not a Yesware user yet? Try a free trial (no credit card required). Let’s walk through the brand new UI feature-by-feature. In our old O365 add-in, sending a tracked email required manually checking ‘track’ each time. 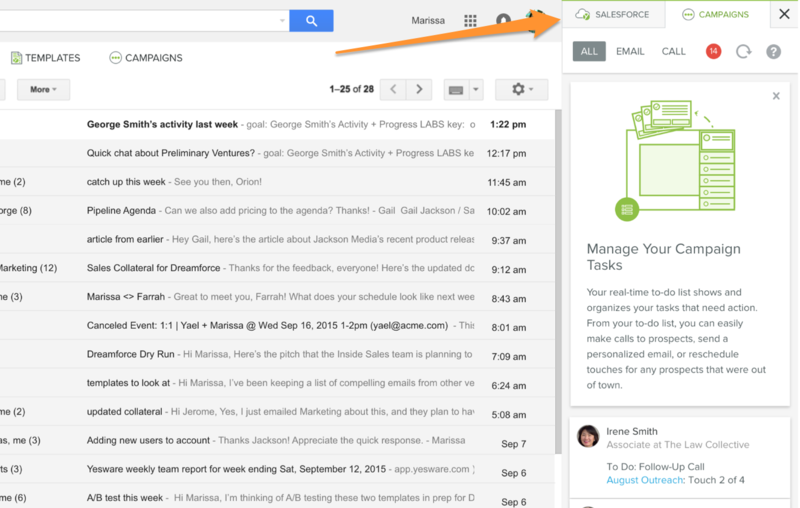 So, we simplified the process and added a brand new button to send tracked emails. 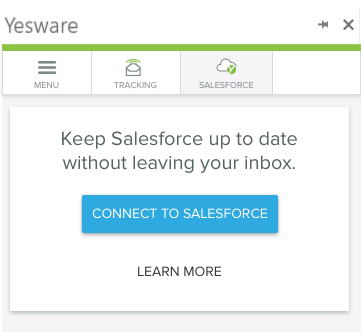 Note: These buttons only work if you have email tracking set to ‘ON’ in your ‘Email settings.’ Both settings will be on by default when using Send With Yesware, but you can change the settings if you only want to track or sync to Salesforce. Note: Yesware for O365 is supported on Windows and Mac desktop versions of Outlook and the Outlook Web App. The office add-in works with Outlook for the Web, and Windows and Mac versions of Outlook 2016. 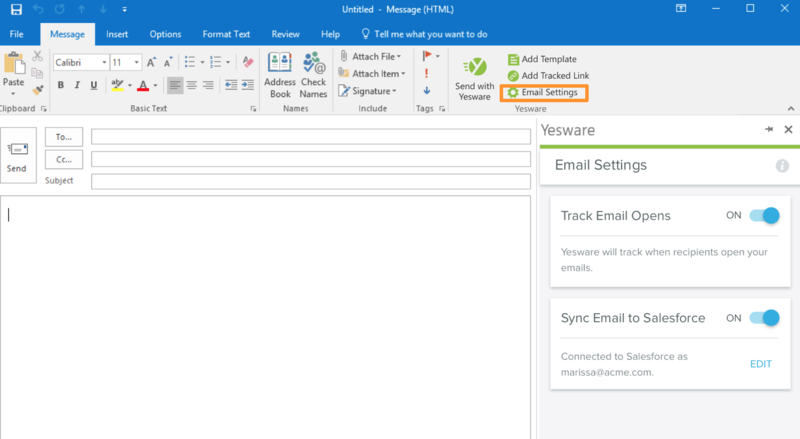 Want to send emails with Yesware for O365? Try a free trial. Yesware’s Enterprise editions sync directly with Salesforce, which keeps you up-to-date without manually logging information. *If you aren’t already logged into Salesforce, you’ll need to enter your information now. 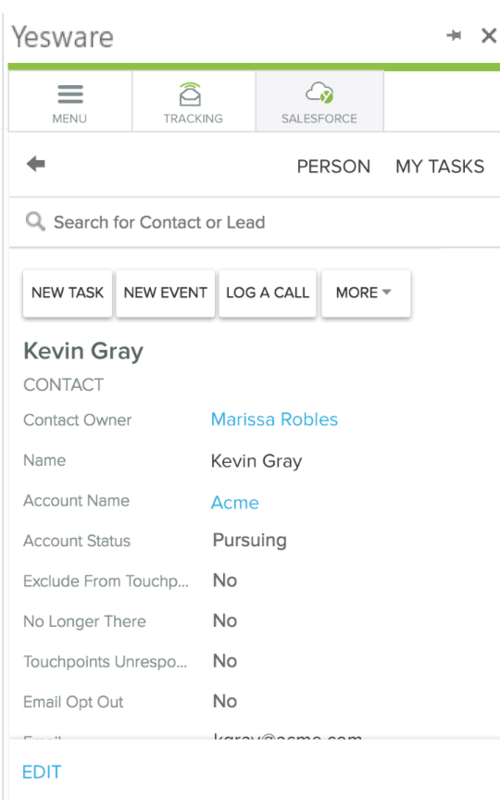 Until now, to switch between Salesforce and Touchpoints campaigns, you had to click through a dropdown menu. We simplified that process by changing the dropdown to tabs. What it means for you? It’s insanely easy to toggle between the two. Until now, to access the sidebar you had to first expand then manually toggle. We decided to remove that unnecessary step to make accessing Salesforce or Campaigns much more simple. 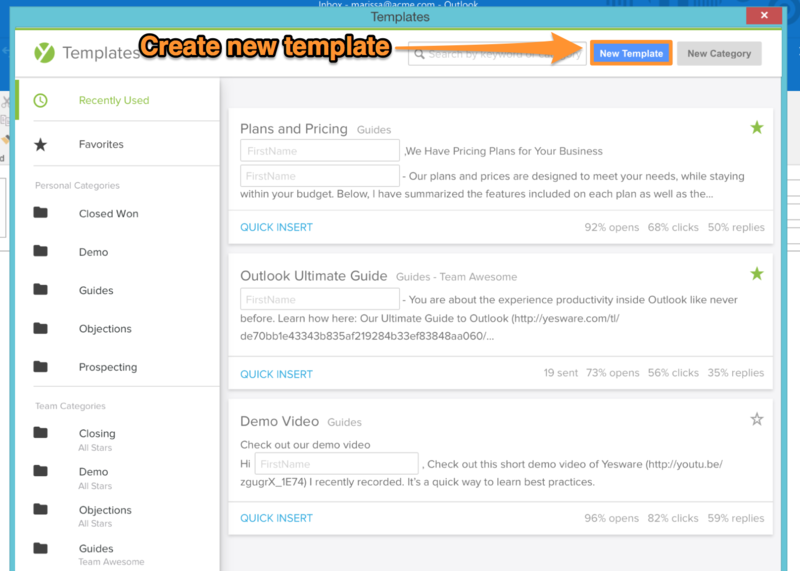 Now you can access Salesforce or campaigns without even having to expand the Sidebar. We’ll be back with more exciting updates in April, so stay tuned!